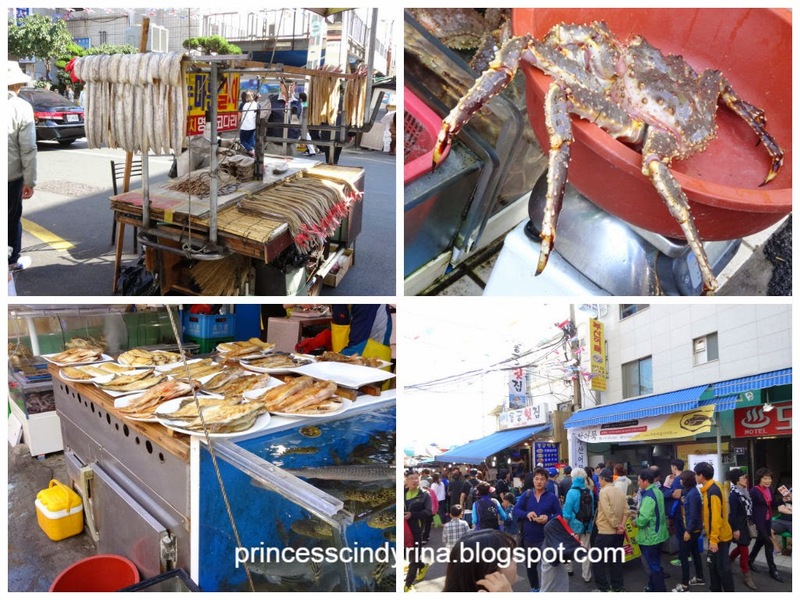 After my hiking trail at Gamcheun Culture Village, I continue my journey to explore Busan's famous market called Jagalchi Fish Market. 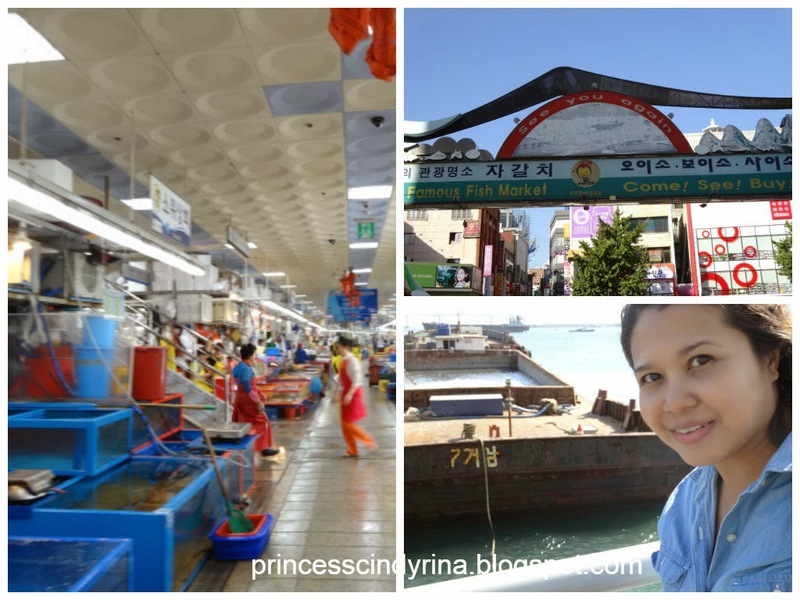 How to go to Jagalchi Fish Market? 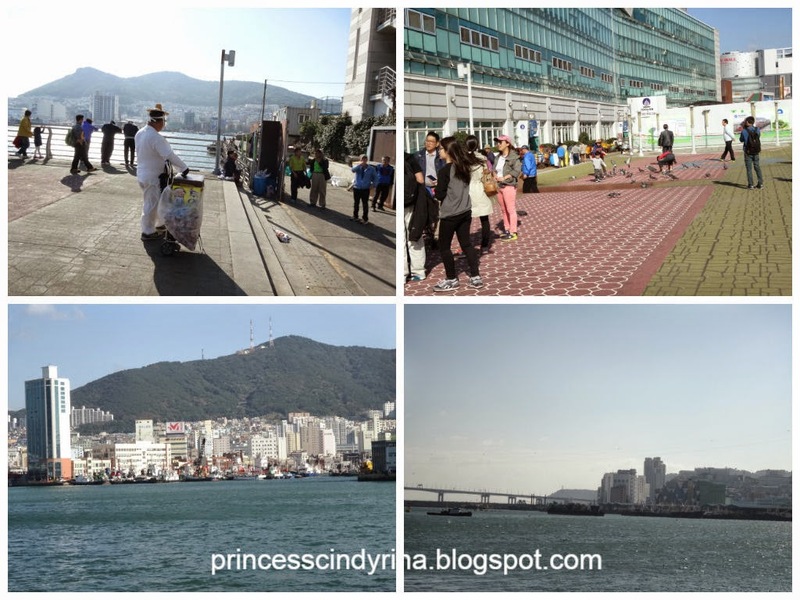 Just continue walking and you will find these places and you will not lose your way since there are big tourist map nearby. You can use it as reference or can buy map which will cost you around KRW2,000/-. IMA travel using Busan subway map. 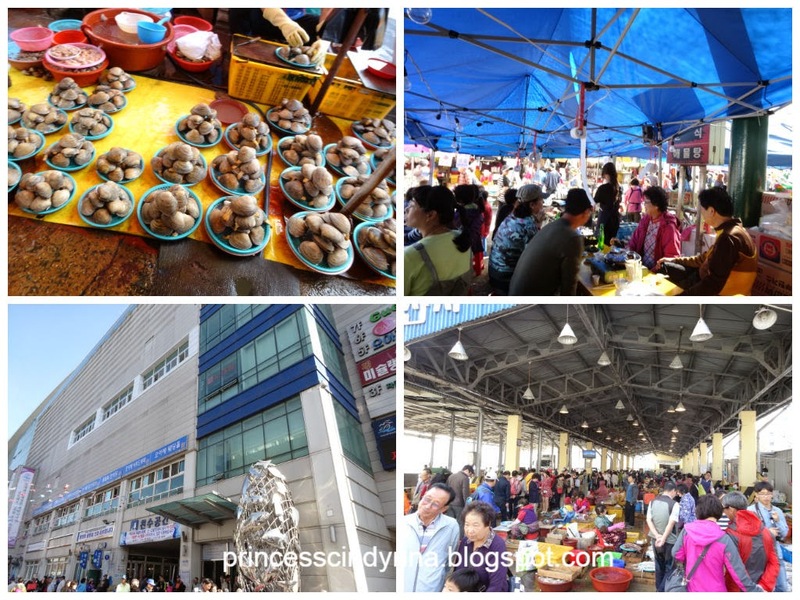 Why I chose to go to Jagalchi Market after Gamcheon Culture Village visit? Jagalchi is just one station from Toseong -Dong. Very convenient! 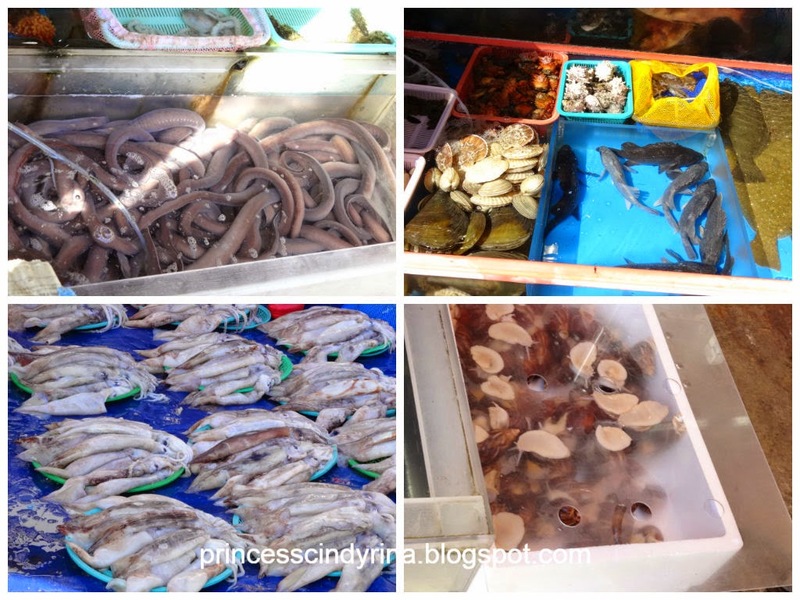 Jagalchi market is a huge fish market with lots of fresh seafood waiting to be executed live!!!! isk isk isk ...poor creatures! The Jagalchi market is in the big building. Where they sell live creature downstairs and upstairs are sort of restaurant. The one IMA shown below...is the open area one around Jagalchi too. 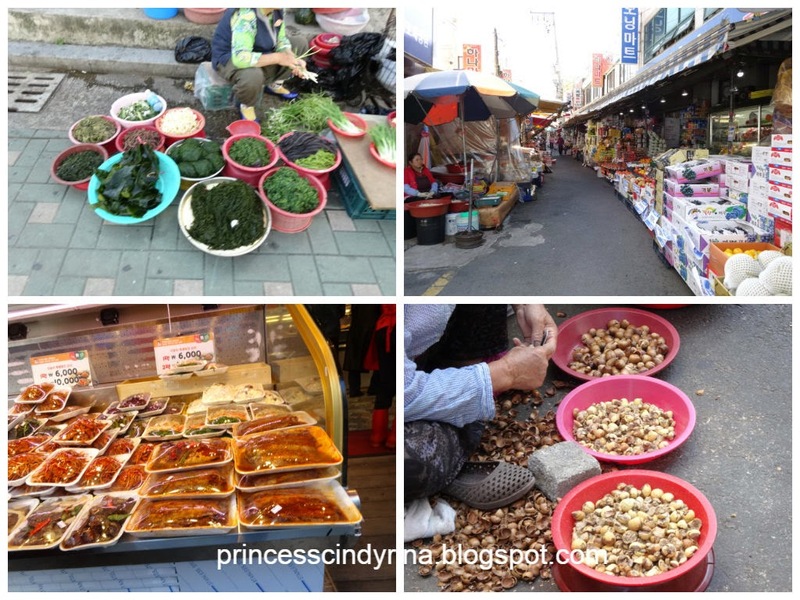 IMA almost go crazy to see lots of banchan here....huhuhuh wanna buy but afraid cannot finish. Huge flowery and hairy crabs live. Dare not order crab because it may eaten up to IMA budget funds. IMA need more for Jeju trip next. Dried hairtail fish and frozen pollack are everywhere. IMA got a chance to try frozen pollack spicy soup which IMA will reveal more on food section which come to the end of journey diary! Long way to go since there are many places visited in 10 days travel. IMA eat first. 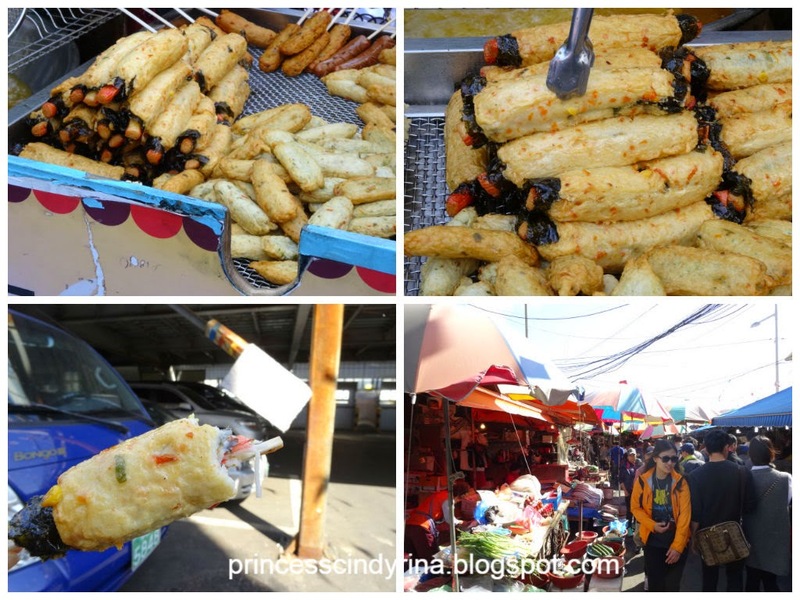 This is fish cake stall and very hot selling too. Not bad to eat it hot! IMA seen eel skinned live merciless...still moving ok...struggling for life!!!! See those in red on top right???? There are video IMA took but unable to upload here. Trying to find away to do it soon. Too busy now. In that video that seller skinned the eel and then just throw to the table. That skinned eel still moving from pain and....it so geliiiiiiiiiiiiiiiiiii!!!!!! There many seller selling...oh well...in Malaysia we call it 'ikan goreng' but there the way they fried is like pan fried. The whole street was selling practically same item. Sort of 'Ikan Bakar' street in Malaysia. You see the bottom left??? That one is indoor Jagalchi Market. 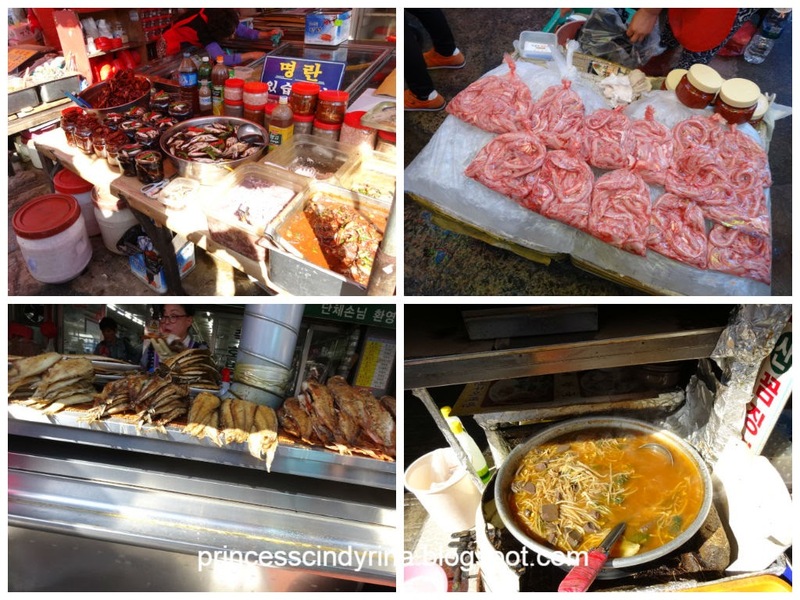 The right bottom is where the fisherman sell their catch to people. That grandfather in white uniform is selling ice cream...interesting he wear sort of ancient traditional costume. Next will be....BIFF Square shopping street!!! siput babi? Gosh! I also scare eat. I saw this in Beijing too! They cook curry with it! 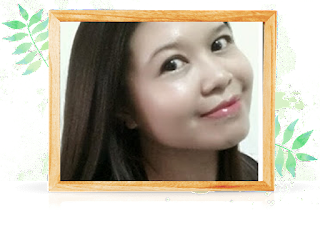 I sangat tak boleh makan kalau nampak 'live telecast execution' ni, Cindy. Hilang terus selera walaupun I suka sangat makan. Tahu tak pe.... I can't eat too! merciless weiiiiii!!! !